Investigating the history of water on Earth is critical to understanding the planet’s climate. One central question is whether Earth has always had the same amount of water on and surrounding it, the same so-called “water budget”. Has Earth gained or lost water from comets and meteorites? Has water been lost into space? New research into the Earth’s primordial oceans conducted by researchers at the Natural History Museum of Denmark at the University of Copenhagen and Stanford University revisits Earth’s historical water budget. The results have just been published in the Proceedings of the National Academy of Sciences (PNAS) journal. Water accounts for about ½ of a thousandth of the Earth’s total mass, despite the fact that roughly 70% of the planet’s surface is covered by this substance so vital to survival. Indeed, water is a relatively “rare substance” on our “Blue Planet”. “One of the absolutely most intriguing things about Earth is that there are oceans of water and that the presence of liquid water has enabled the existence of life on Earth. 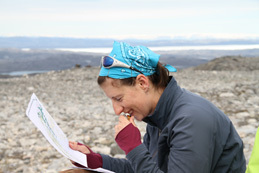 Therefore, questions concerning how Earth got its oceans, where the water came from and – whether we are losing or gaining water from space – are fundamental questions in the understanding of the Earth’s history,” says Emily Pope of the Nordic Center for Earth Evolution at the Natural History Museum of Denmark, University of Copenhagen. Earth’s “little bit” of water is divided among a variety of reservoirs. Therefore, a fairly accurate assessment of how much water currently exists on Earth can be made. But now, Emily Pope and her colleagues at the Natural History Museum of Denmark and Stanford University have also been able to determine that liquid water was also in existence upon the young Earth, billions of years ago. And, more consequentially, they have been able to approximate the ancient water budget. The researchers have done this by examining 3.8 billion year old minerals from Greenland which are derived from the Earth’s primordial oceans. 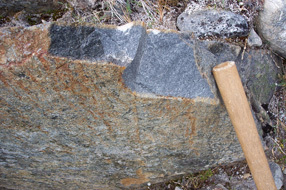 “We have managed to reconstruct the isotopic composition of 3.8 billion-year-old seawater using mineral samples from the Isua-rocks in Greenland. The results demonstrate that the young planet’s oceans, in relation to those of today, had proportionately more “normal water” than “heavy water” in them. We can explain this difference by the fact that Earth has lost less than ¼ of its water budget over the last roughly 4 billion years,” says Pope. It may sound like a lot of liquid, but it’s a surprise for researchers that the Earth’s water budget has been so relatively stable for so many years. The new findings concerning the historical development of oceans also support new theories and suggested solutions to “the faint young Sun paradox”. Theories challenging the paradox were propounded by a number of researchers from the Natural History Museum of Denmark and Stanford in 2010. In 1972, the late, world renowned astronomer and his colleague, George Mullen, formulated “the faint early Sun paradox.” The paradox addressed the relative stability of the earth’s climate over the 4.5 billion years of its existence in relation to the fact that during the same period, solar radiation has increased by 25-30 percent. The paradoxical question that arose from the scientists was why the earth’s surface, during the planet’s infancy, was not covered by ice, when the sun’s rays were much weaker than they are today. One possible solution to the paradox, among others, was proposed by the American atmospheric researcher Jim Kasting in 1993. He performed theoretical calculations which showed that 4 billion-years-ago, 30 percent of the Earths atmosphere was composed of CO2. The theory was that the impact of this large amount of greenhouse gas insulated the planet and prevented the oceans from freezing over. An abundance of atmospheric CO2 however, was not the ice-limiting factor. Instead, a much thinner layer of cloud played a major role in keeping ice at bay. Furthermore, the Earth was covered by ocean. This meant that the Sun’s relatively unimpeded rays could warm the massive ocean which in turn could store heat and prevent the freezing of its surface, according to the research group from University of Copenhagen and Stanford. This is their current answer to the long-standing riddle. Please click on the individual photos to see and download them in full-size. The press is welcome to use pictures for media purposes. 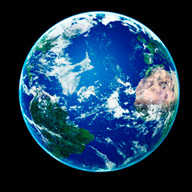 For photo of planet Earth, credit Colourbox.